A Mission Valley-based auto dealership has agreed to distribute an all-electric vehicle by upstart carmaker CODA Automotive. The country’s alternative fuels industry has drawn support from several notable foreign companies, including LG Corp., Nissan Motor Co., Sanyo Electric Co. Ltd., Yamaha Motor Co., Toyota Motor Corp. and Hitachi Ltd., a government official said. Toyota’s popular compact crossover, the RAV4, comes back for 2012 in three trim levels: the base model, midlevel Sport and top-of-the-line Limited. That’s not the biggest news for the RAV4 line, though. Coming late in 2012 will be the all-new RAV4 EV — electric vehicle — which goes a step beyond even the new Prius plug-in hybrid. When Honda sets sets its sights, it really sets them high. The company recently announced goals for its future drive technology at the Tokyo Auto Show. Colorado Springs, which got its first public electric-vehicle charging station this month, is in line for several more — from what some might consider an unexpected source. We all know that most electric cars are more energy efficient than their gasoline counterparts, but just how do you improve on the limited range most electric cars have? For some automakers like BMW, the answer lies in making an electric car as lightweight as possible. For others, the answer is to make the battery pack as large as possible. Mitsubishi has achieved decent amounts of success with the i-MiEV electric car in its home land, and also in Europe, where this model is also sold badged as a Peugeot iOn. Europe: Windreich AG introduced the very first annual calendar devoted exclusively to electric car and wind energy. Shares of Tesla Motors (Nasdaq: TSLA ) didn’t do too badly in 2011. The upstart electric-automaker’s stock was up about 5.3% for the year through Tuesday. That’s a solid result in a year when giant rivals from Ford (NYSE: F ) to Toyota (NYSE: TM ) were down sharply, though it trails the Dow Jones Industrial Average’s 6.2% gain over the period. The Pflugerville Community Development Corp. .. is opening an electric car charging station and unveiling its planned Renewable Energy Park Friday. The green race is heating up, with a proposal to grant generous incentives to the manufacturers of electric cars, hybrids, and other types of vehicles powered by alternative fuel gaining momentum in Congress. If you didn’t manage to catch the documentary Revenge of the Electric Car in theaters this year, there’s good news — the film will be available on DVD starting January 24. 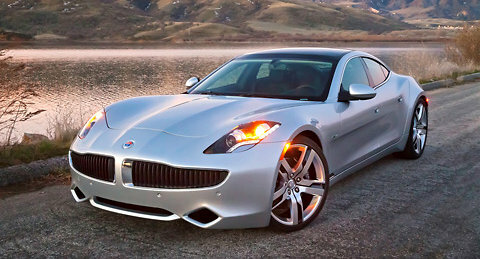 Fisker Automotive is recalling all 239 of its 2012 Karma, luxury electric cars because of a fire hazard, according to a report filed with the National Highway Traffic Safety Administration. Prices on the 2012 model start at $103,000, including the destination charge. LOS ANGELES, California – The waiting times were longer than the test drives themselves at the L.A. Auto Show’s Green Vehicle Media Drive. Surprisingly, the lineup was at least twice the length of the one for free lunch at the Cadillac booth. 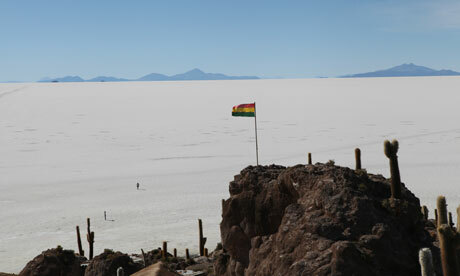 Europe: Can Bolivia become a green energy superpower? With just two major automakers — Chevrolet and Nissan — launching their first highway-ready electric vehicles this year, there’s been a lot of talk among car experts about whether or not the consumer interest is there to support the nascent electric vehicle industry.